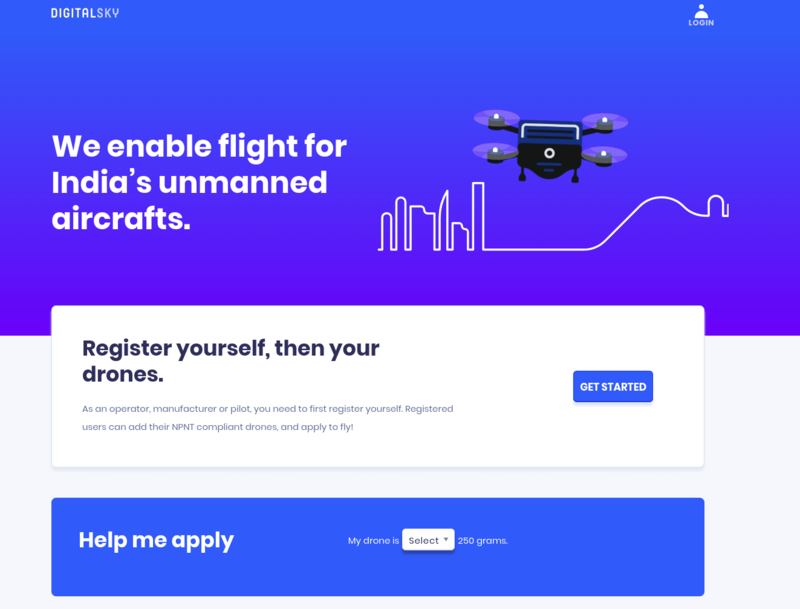 Civil Aviation Ministry (India) recently announced that you need to register on a portal called Digital Sky if you want to use your drone in India legally. “Drones” comes under the category of “Remotely Piloted or Unmanned Aircraft” and it’s good to see regulations related to this in India officially. How To Register Your Drone in India? Step 1: Open the DIgital Sky Website and click on Get Started. 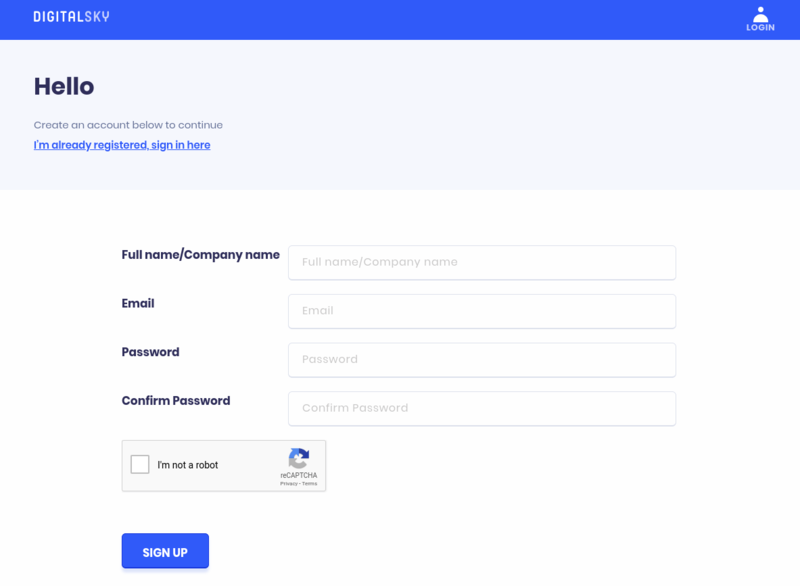 Step 2: In the new window, you need to enter your name/company name, email address, setup password & click on signup button. Step 3: You will get a verification Link on your registered email address. Now, you need to click on the link and verify your account. Step 4: Once the verification is done you will be redirected to profile page where you need to create your profile. There will be 4 type of profile, Pilot Profile, Individual Profile, Operator Profile, Manufacturer Profile. Note: 1. Pilot Profile requires “Training Certificate”. Step 5: Now you need to enter the details, upload the certificates and click on submit button and wait for approval. Note: For Individual Profile & Operator Profile clicking on submit button leads to saving your record in the DGCA Database. If you still have queries related to registration & approval you can comment down below or tweet us @1howtothing.